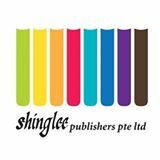 Shing Lee Publishers Pte. Ltd is a leading publisher of educational books, interactive books and digital platforms in Singapore and in more than 30 countries worldwide. Founded in 1935, we are dedicated to creating and publishing quality teaching and learning materials with global standards. Characterized by a wide range of products that cater to diverse learning needs, our titles have received recognition from international educational research institutions. Collaborations with institutions in Singapore and globally provide opportunities to develop and customize new and innovative products tailored to various communities. In line with the latest technology, our systematically-structured books and curriculum resources are available in print and online. At Shing Lee, we do not just provide solutions – our products complement various instructional techniques to offer learners the best possible learning experience. See full collection on Mathematics Textbooks here.